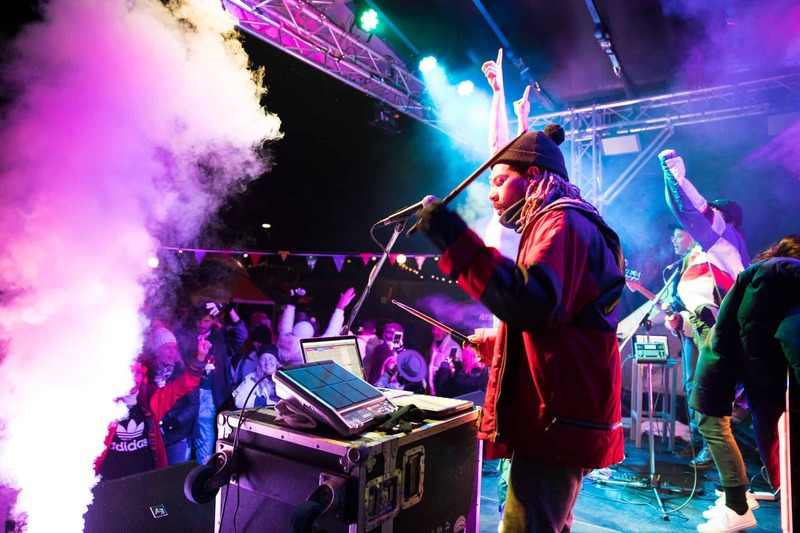 Rainbow Mountain – A Heaps Gay Snow Week made its debut last week and it’s safe to say that all those in attendance will be finding glitter in their snow gear over the next few days. 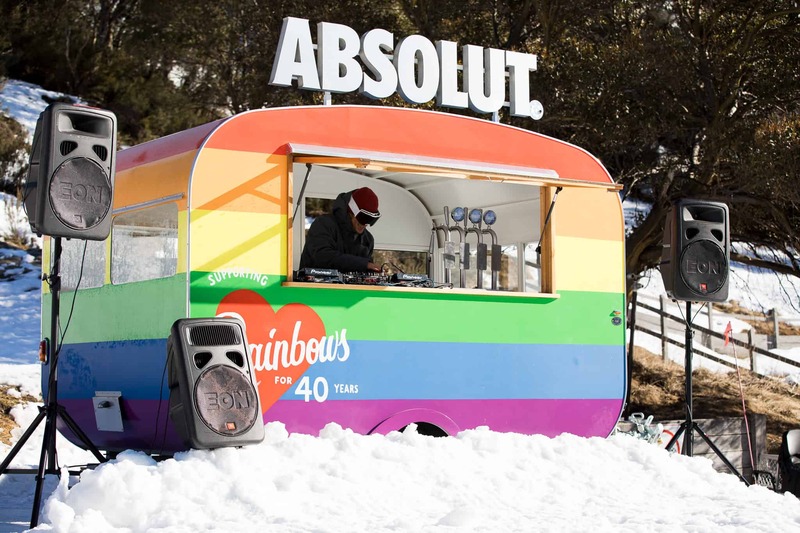 The Heaps Gay team and Absolut proved the ultimate team in crafting a week full of fun, love, après, cheeky entertainment and more, showing that Rainbow Mountain is the ultimate way to celebrate equal love in the snow. “Rainbow Mountain was beautiful! It was so lovely to bring together the queer community in Thredbo for a week of colour love and magic” – Kat Dopper, Founder and Director of Heaps Gay. The festivities started with a BANG as Aspen’s iconic Cloud9 took over Kareela Hutte. The restaurant came to life on Thursday, beginning with free flowing Mumm champagne and a delicious 3-course meal, before plenty of table-dancing and champagne-popping to follow. The party continued Poolside under all the colours of the rainbow. The team behind the bar were mixing signature Absolut cocktails ‘Pash on Rainbow Martini’ and ‘Heaps Yay Spritz’ whilst the Heaps Gay DJs and performers were sassing up the stage. Celebrations continued at the top of the mountain on Friday and the weather didn’t dim anyone’s sparkle… Eagle’s Nest was the place to be for a delicious Italian Feast and dancing right up to when the lifts closed. 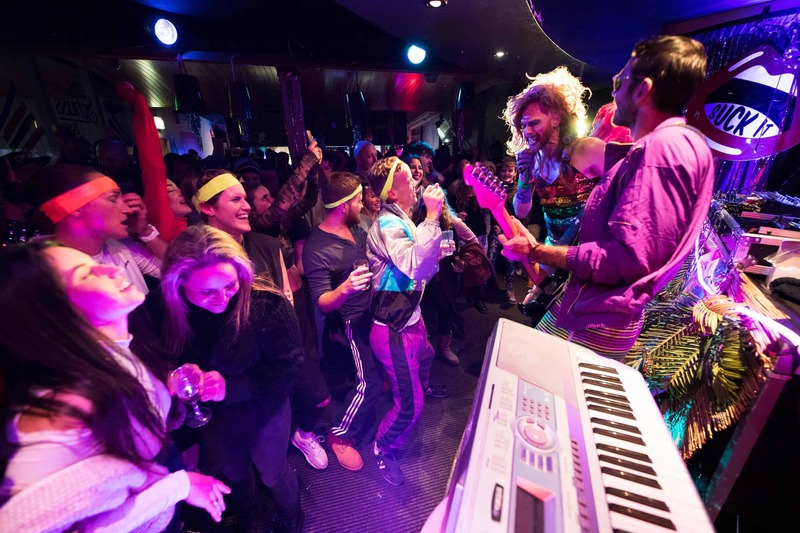 It was a daily party at the bottom of the Kosciuszko Express Chairlift with the colourful Absolut drinks caravan set up, pumping tunes for all those loading the lifts keen for a boogie. Mother Nature herself also made an appearance, delivering 12cm of fresh snow for a great day of skiing and snowboarding on Saturday. 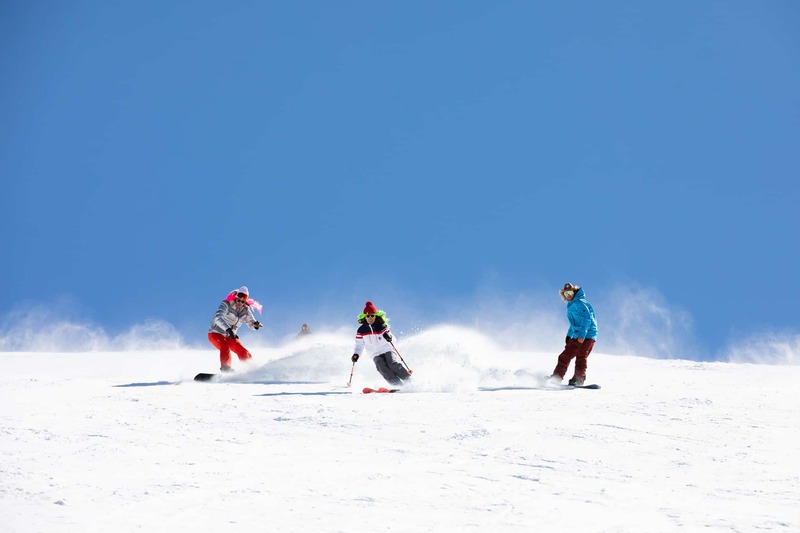 This meant great conditions for the fabulous Rainbow Mountain ski race at NASTAR Racecourse. The Schuss Bar was the #1 stop for colourful fun in the village, well after the sun had set. Lots of sing stars were unearthed during Lip Sync Karaoke with Sharon Manhattan on Thursday night, and there were plenty of “legs eleven” at Drag Bingo. Although nobody can lip sync quite like the Magda Szubanskis, who were the absolute stars of Saturday night. Beginning their performance at the Schuss bar with Shania Twain and heading downstairs to the Keller Bar for round 2… they were a crowd favourite, managing to pack out both venues. It was an amazing week celebrating all things equal love and good times with the LGBTQIA community. Thanks to Heaps Gay, Absolut, Aspen Snowmass, Delta & Virgin Airlines, G.H Mumm and Cloud Nine.